I love the food in the Middle East! I travelled to most of the countries in that region, some of them multiple times, and after living there I made some of those foods my favourites. Now that I am away from the Middle East, I crave certain foods. I love so many of the different foods and the traditions behind them, but I will show here only the foods that I crave from time to time. 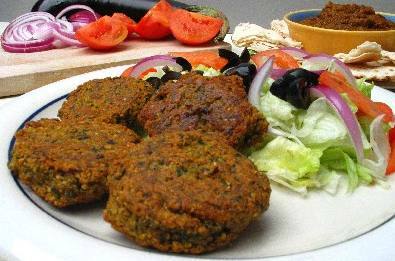 Falafel; There are several varieties of these made with different ingredients. The best falafel I ever had was in a small local restaurant in Damascus, Syria. These could be bought in the USA and also you can make your own from a box, but in my opinion they don't compare in their taste. Hummus: This is wonderful. It brings back nostalgia as I would go out with my friends to a small place called "Beirut Restaurant" in Doha, Qatar. It was a noisy place full of guys. This place had wonderful hummus and warm "ayysh ( Arabic bread) and we would enjoy frequently. 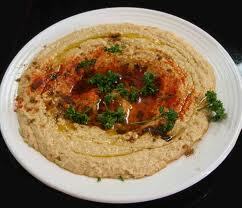 I make my own hummus too when I have taheeni available to use. However, I never dress it with paprika or anything. 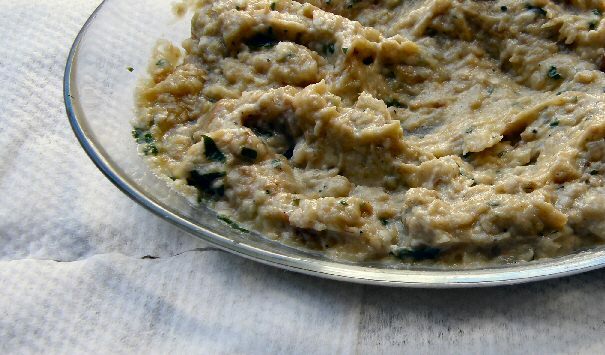 Baba ghanouj. grilled aubergine delight! 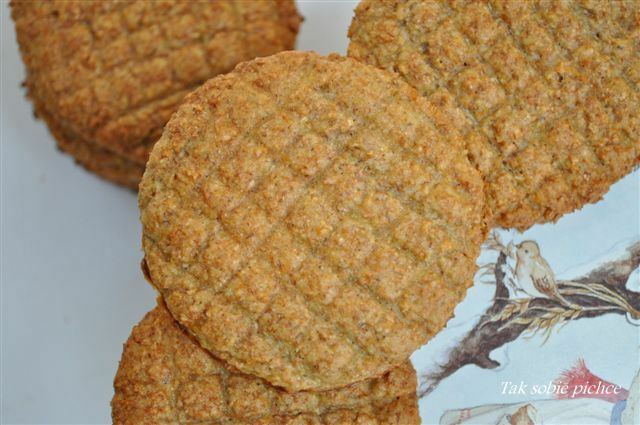 I also make this on my own when I have taheeni available to use for this. 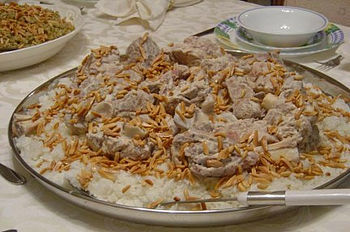 The first time I had Mansaf was with my Jordanian friends in Amman. I remember sitting together on the floor with them and using my fingers to eat. I wasn't very good at using my fingers when eating in those early years, but today it is second nature for me. I am far away from the Middle East, but I find Arabic and also Turkish coffee more satisfying than American coffee. I try to make my own, as you can see in my photo above. 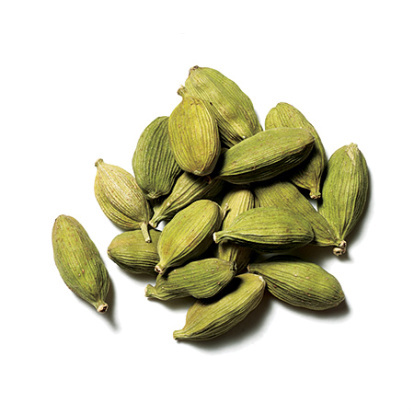 This is not a food but my favourite spice cardamon! If I were able to put this into everything I would definitely would! This post is not exhaustive of my favourites of the Middle East. I would feel flattered if you introduced some of your favourites for me to try and I will welcome the idea!